have you considered making this with “wet fold” ? The last time I tried wetfolding I failed miserably so I`m afraid to mess up such nice paper. Lion is from Nathan Terry tissue foil. I tried to wet fold an alien by Kade chan with fur paper, little did I realize that it is actually composed of little hair pieces that don`t take well to wet folding. Sure thing, I`ll help you get the tutorial. 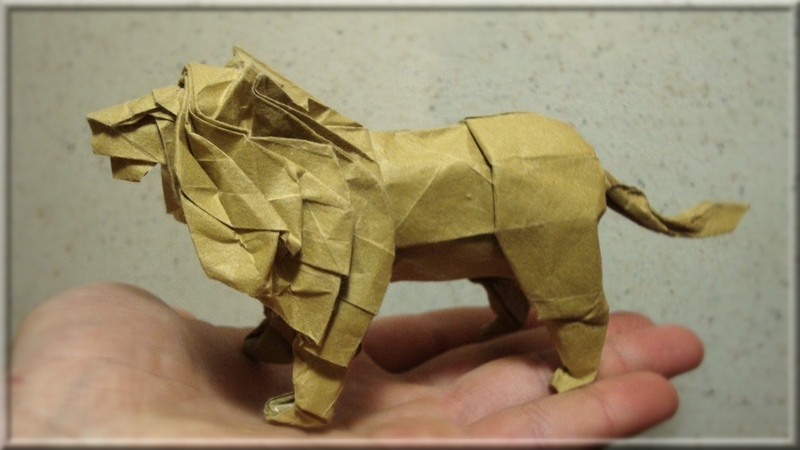 Hi there… Very nice folded lion man… congrats!!! Could you please send me the tutorial… I’ve searched everywhere on internet but nothing where found.